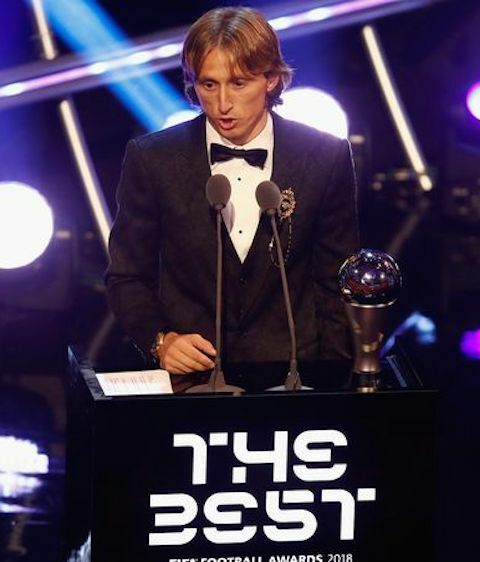 Real Madrid and Croatia midfielder Luka Modric collected The Best FIFA Men's Player 2018 award in London. Visibly moved by the experience, he later shared his feelings about the stunning 2017/18 season that led to this crowning moment. How does it feel to have won the first The Best award of your career? Luka Modric: It's an incredible feeling. I am proud and honoured to be here. It's been a special night for me and a special moment in my career. It's very important. There's no bigger reward that being chosen by so many people. I'd like to thank all the people who've helped and supported me all this time. 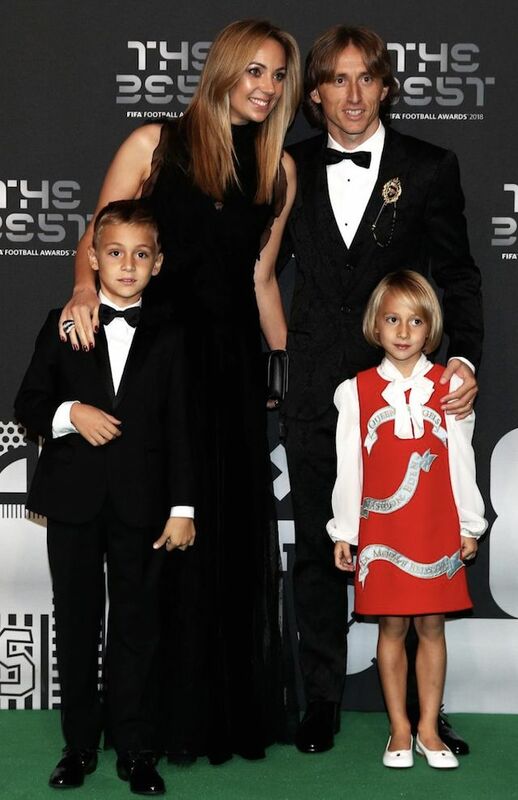 It's been years since anyone other than Lionel Messi or Cristiano Ronaldo has won this individual award. Will it be the first of many for you? We'll see. I'm not thinking about that right now. I'm very pleased to have picked up this award. There are so many good players - those two and many more - that it makes you feel proud to beat them to it. It shows you that your hard work has paid off. It's been a night when all my dreams have come true. Let's talk a little about your year. There were so many that choosing one is difficult. I think it has to be the World Cup Final though. It was the biggest match of my career, and playing for your country in the Final of the World Cup - the biggest sporting event on the planet - is unique. I also had the extra motivation of captaining my side. Unfortunately, things didn't work out for us and we lost, but I still see it as a success to have got that far. We did something that will go down in history. You always have dreams when you start playing football. I'm the type of person who always wants to be the best, so it's only natural that I dreamed one day I would come this far, and thanks to God here I am now. It's what I've worked so hard for. I pushed myself and believed in myself, even in difficult times. I've also made it this far thanks to my team-mates, my family and my friends. By believing in yourself, even when others don't. By staying close to your family, your loved ones, being positive and moving forward all the time. By working hard and never giving in, without getting distracted along the way. Those are the things you have to keep in mind. It's been a wonderful year for you. How can you better it? It's not going to be easy. Like I said before, I always like to improve in every way, but if I can maintain this kind of form, it would be incredible. It's not easy to reach the top, but staying there is even harder. I've been at the top for a few years now and I hope I can stay there for a few more. You are now The Best in the game. If you could choose something else in which you could be the best, what would it be? I am a very down to earth and modest person, a family guy and friendly with it, so I'd probably choose being the best at spending time with my family and sharing big moments with them. Zlatko Dalić, coach of Croatian football representation, with his wife Davorka.